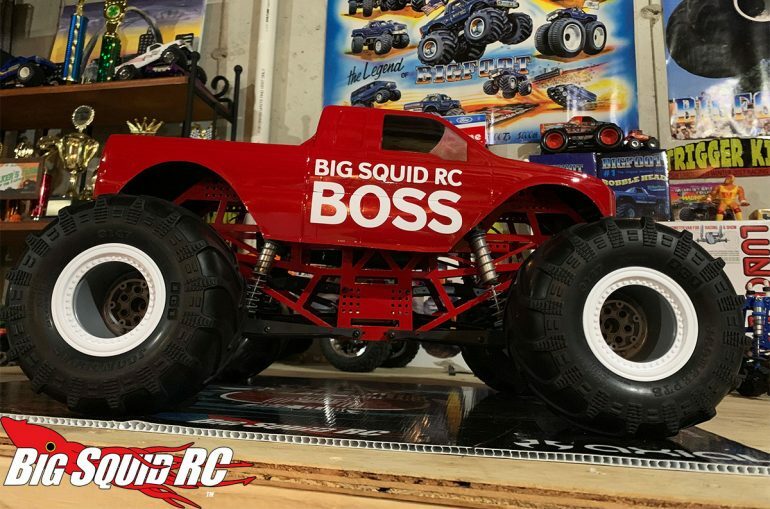 Monster Truck Madness – She’s Coming Along « Big Squid RC – RC Car and Truck News, Reviews, Videos, and More! This week I wanted to give you a couple project updates, and I’ll start with the BigSquidRC Boss. As you can see from the pic above, it’s getting close! I haven’t had a chance to glue the new JConcepts JCT tires or paint the planetary caps, but I’ll be doing that this evening. Other than that, I’m just waiting on the mailman to arrive with the battery tray and sway bar parts. After some brief decal work, she’ll then be ready for testing. The Boss’s first monster truck race is less than 2 weeks away, and once I get some track time in with it, I’ll do a “body off” post where I run down the full list of the parts being used. I’m really excited to finish the build! 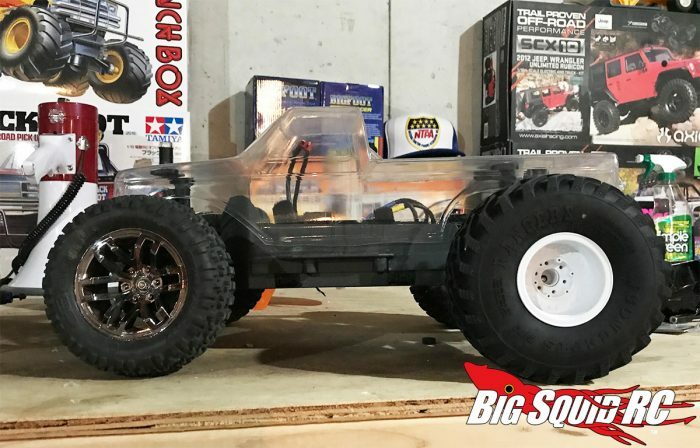 Ok, now for a quick update on the Arrma Granite 4×4. So this guy has just been sitting on the bench for the past few weeks, and I’m at the point where I think I may need help from one of you folks. As detailed in my last post on the truck, I ran into a problem with the stock 14mm wheel hexes not fitting the 12mm Ranger wheels. No problem there, as I used some Tekno 12mm hubs that are designed for the m6 axles (part# 1654). However, I quickly ran into another issue. One I’ve yet to solve, actually. 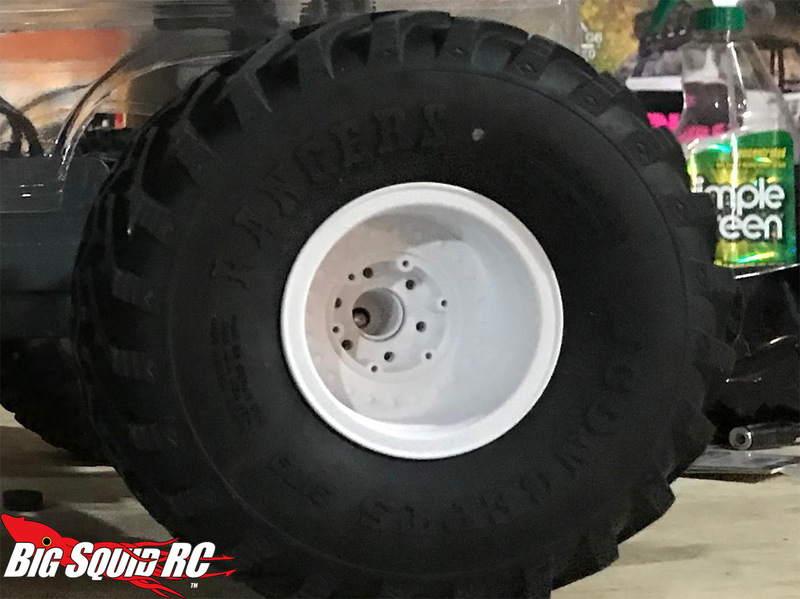 The Arrma axle stubs are not long enough so as to compensate for the offset of the Midwest wheels. The tip barely gets through the wheel centers and there isn’t enough room to get a nut tightened. Here is a close-up where you can see (sorry for the bad lighting). So I’ll turn to you folks- anyone know of a longer-than-stock axle stub that will drop into the Granite 4×4? I haven’t really looked around on-line yet as I’ve been busy with my solid axle trucks. I figured before I do, I could save some time by asking you, dear reader. I know there is a good chance someone has already done this. You can send an e-mail to doug at bigsquidrc.com. I’d really appreciate it! I hope to report back on the solution soon enough, regardless of how I find it. Alright folks, it’s back to the work bench I go!